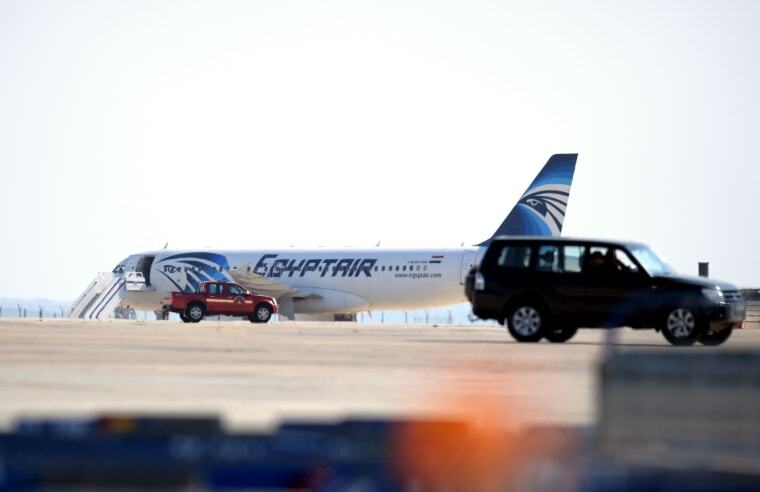 A hijacker claiming to have an explosive belt diverted an EgyptAir Flight en route from the Egyptian city Alexandria to Cairo on Tuesday. 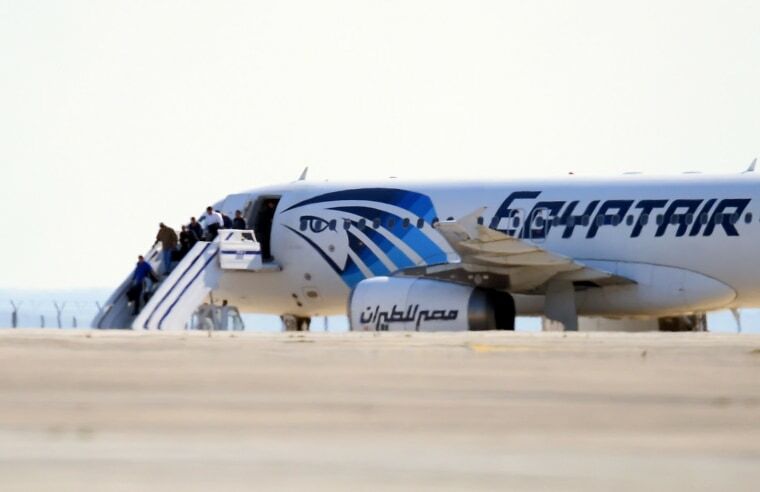 Passengers are evacuated from the hijacked EgyptAir Airbus 320 plane at Larnaca airport in Cyprus, on March 29, 2016. The plane stops on the tarmac. 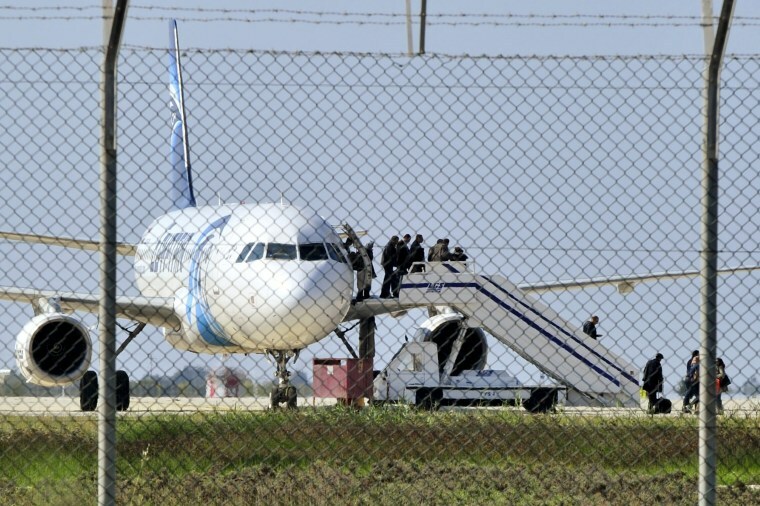 Cypriot state media reported that the motives of the hijacker appeared personal, and had asked to contact his ex-wife, who lives in Cyprus. 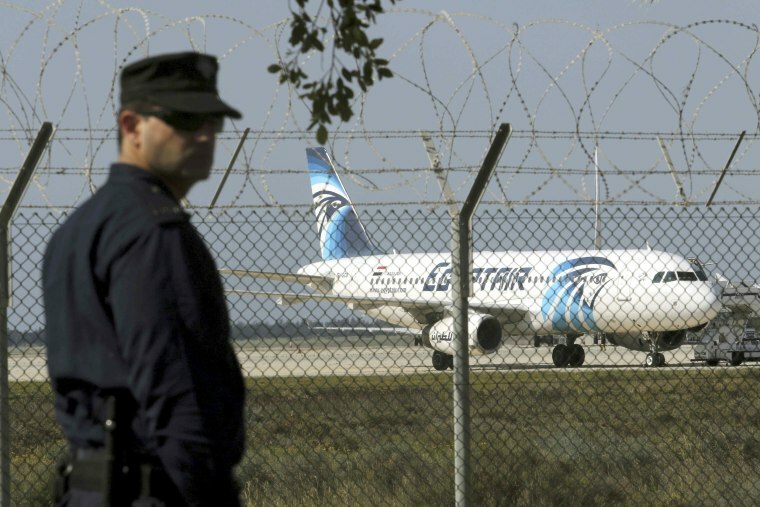 A police officer stands guard at the airport near the hijacked plane. 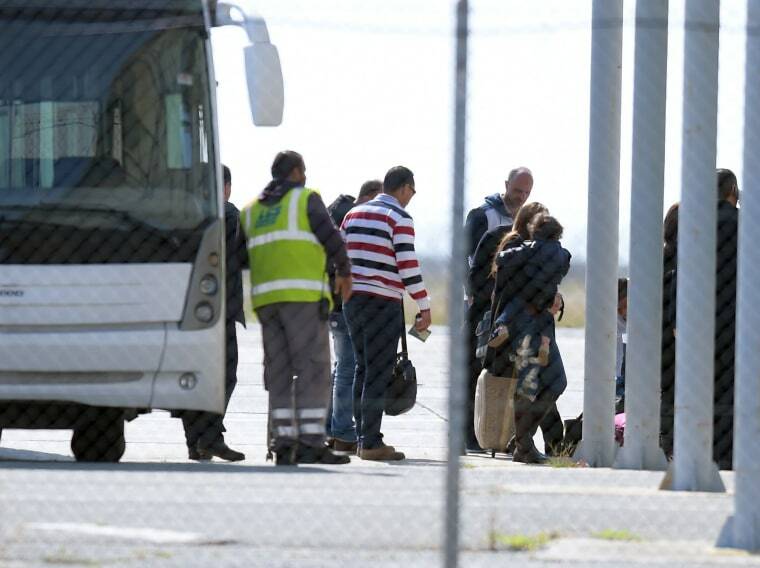 Passengers disembark the plane after their negotiated release. 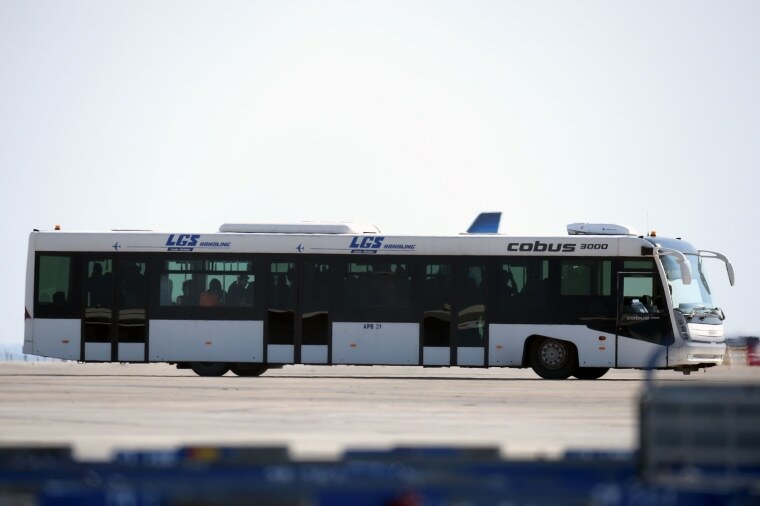 A bus carrying flight passengers takes them away from the scene. 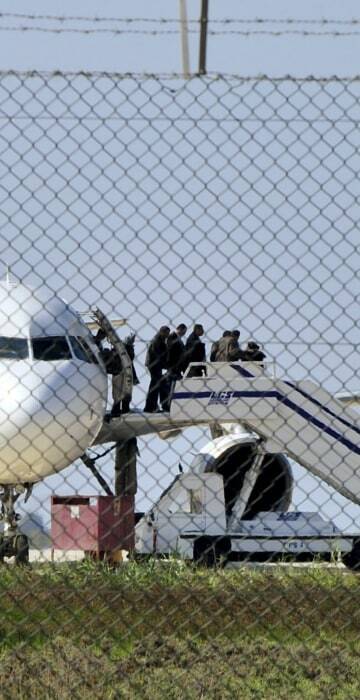 Released passengers get off a bus after disembarking the hijacked plane. 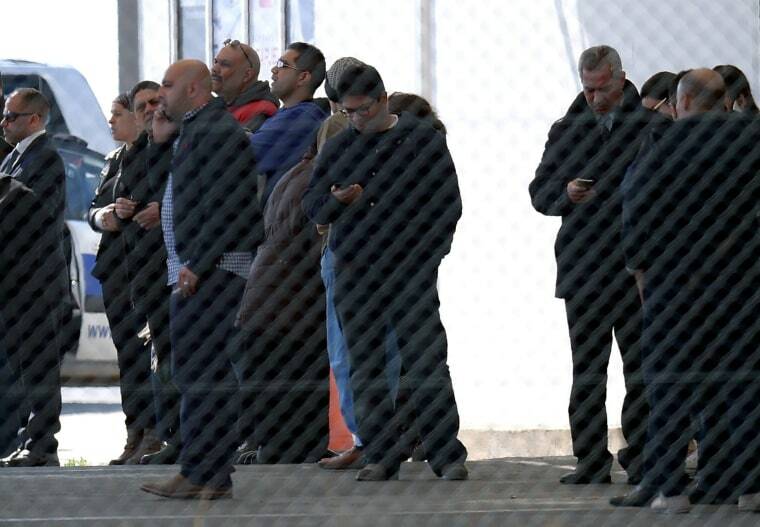 Passengers check their phones after being dropped off at an airport terminal.